This NASA/ESA Hubble Space Telescope image features the star cluster Trumpler 14. 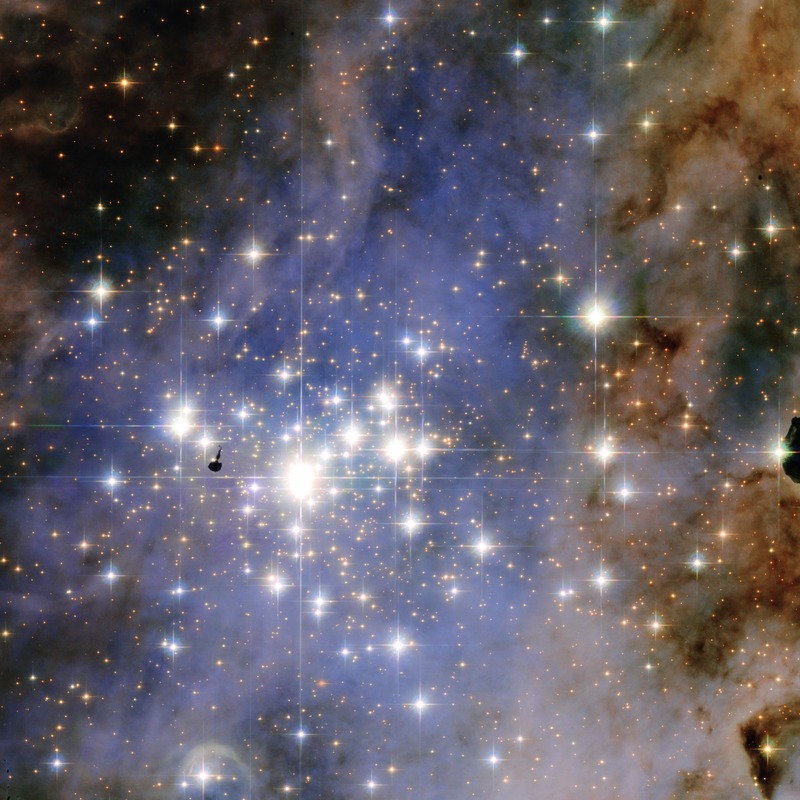 One of the largest gatherings of hot, massive and bright stars in the Milky Way, this cluster houses some of the most luminous stars in our entire galaxy. The prominent dark patch, close to the centre of the cluster is a so called Bok globule: this is an isolated and relatively small dark nebula, containing dense dust and gas. These objects are still subjects of intense research as their structure and density remains somewhat a mystery.